The freeway system of Los Angeles (and perhaps the smog it helps to generate) is in many ways the “face” of Los Angeles, its icon on the cultural desktop. There is of course much more to Los Angeles and much of that “much more” paints the city in much more favorable colors. Those aspects of a landscape that become iconic are not always the aspects that best represent that landscape, just the aspects that get the most attention. Still, it is something we do; we do not just name things but characterize them as well. We give them an identity that may or may not be true to their nature. But we do not just do this with places; we do this movements, with cultures, with moments in time. How dark were the “Dark Ages”, what were the “Middle Ages” in the middle of? 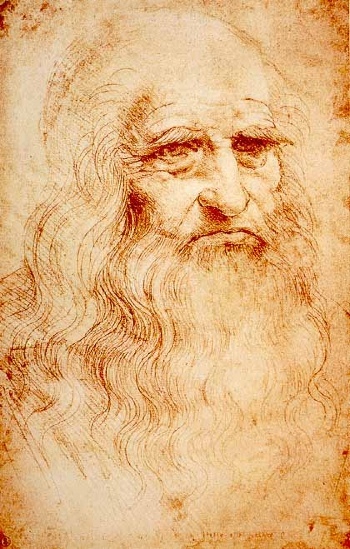 As freeways for some define Los Angeles, Leonardo da Vinci is, for many, the face of the Renaissance. When we think of the “Renaissance Man” the face that comes most readily to mind for many is Leonardo’s and when we call someone a Renaissance man or woman the comparison is for many to Leonardo. His face is iconic with an age and a concept. 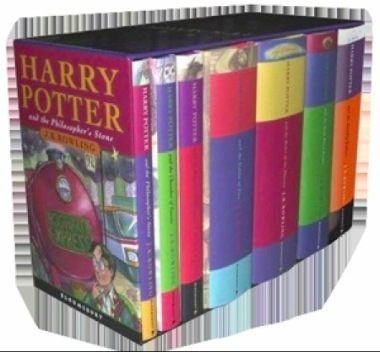 There was an article in the Guardian last week, “Harry Potter: Icons of the decade,” that identified Harry Potter as the icon of the last ten years, the first decade of the third millennium. There have been a number of articles over the past month that pointed out that Rowling’s wizard dominated book and movie ticket sales over the years since he first appeared. Some of these articles were positive, most of them were negative, in that many critics do not think these books have literary merit. But last week’s article pointed out that the Harry Potter books appealed to readers of many generations and asserts that they made reading “children’s books” an acceptable adult practice. Many of the images of an age are literary; they come from the stories that people tell that capture the spirit of the time. And because they capture so effectively the moment that produced them they come to represent that time. Classical Greece is personified in Homer’s epic heroes and Plato’s representation of Socrates and classical Rome in Virgil’s epic hero with bits of Ovid and Petronius thrown in as well. For Renaissance poets Virgil became the iconic epic poet that everyone else tried to imitate. Milton begins Paradise Lost with an appeal to his heavenly muse that suggests Virgil’s invocation of his muse. Virgil tells the story of The Aeneid over twelve books, Milton tells his story over twelve books. There is an irony in that both The Aeneid and Paradise Lost focus on a character that was on the losing end of a war who ventures off to a new land to start a new kingdom. Perhaps it is this similarity between Aeneas and Satan that cause some to see Satan as the hero of Paradise Lost. King Arthur has come to represent Great Britain and its destiny. He is called, after all, the “Once and Future King” and it is part of his myth that he will one day return and restore Britain to greatness. 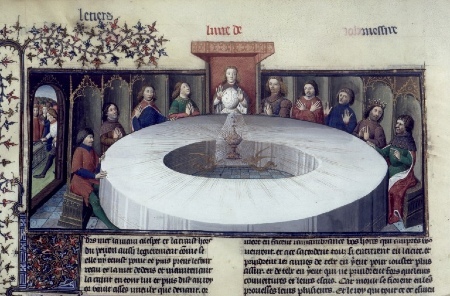 The illustrations above and below capture aspects of Arthurian iconography. Arthur was one of the “Nine Worthies” and was at the time of Malory’s retelling of the stories already a revered character who had found his way into the storytelling of many European countries. It is interesting to me that Malory relied more on the French versions of the stories than he did on the more indigenous Welsh versions of the tales. The image below is of the Holy Grail that has become synonymous with excellence and achievement at the highest levels. And as the exclamation from Harry Potter “Merlin’s Beard” reminds us, Arthur’s wizard Merlin has become an icon of wizardry and he makes frequent reappearances in literature. Where we find the icons of an age suggests to us what was important to that age. The icons of the 1960’s, for example, were rock bands, most notably The Beatles, though there were many others. Victoria and the first Elizabeth have become icons of their age not because of what they produced but what was produced in literature and the arts during their reigns. What does this suggest about how the people of each age saw themselves or, perhaps, how they were seen by those that did the labeling. Did Victorians, for example, see themselves as “Victorians”? To what extent do our icons actually capture those we are trying to label? If Harry Potter is the icon of the present decade what does he, as a character, say about us? Is he important because of his economic contributions to the book trade or is he important because of the ideals he represents? People read these books because they are captured by the stories they tell. We want, perhaps, to see ourselves as heroic and these books offer an avenue for “experiencing” a bit of heroism. 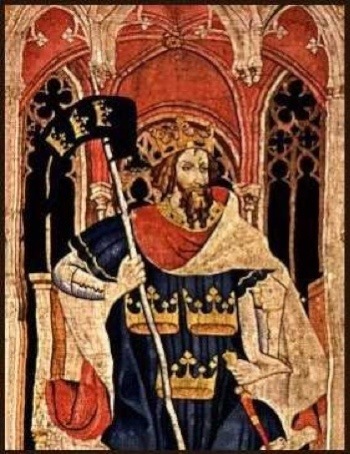 King Arthur represents an ideal of might on the side of justice and that probably contributes to his popularity through the ages and to the extent that Arthur’s vision was planted in his mind by Merlin might suggest Merlin’s rise to an iconic status. Perhaps stories are as much about what we aspire to as they are about who we are. 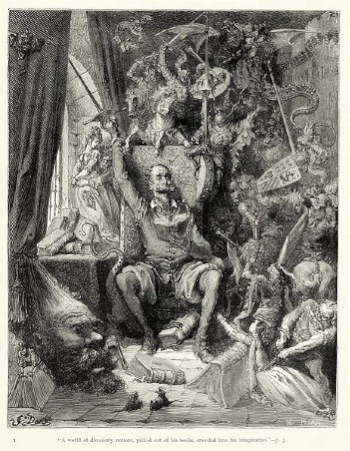 On the other side of the coin Don Quixote is iconic not just for the ideals he pursued and the manner in which he pursued them but because of his obsession for living in stories, for giving stories too much power over his sense of himself. There is value to the stories we tell, they help us to give life to our ideals, but there is also a danger. Quixote first lived vicariously through his stories than tried to put his vicarious living into practice. He goes beyond emulating the characters in his stories to trying to become the characters in his stories. I think stories can help us to give definitions to concepts and values but we have to make these concepts and values true to the people we are, to our own psychology. There is a difference between learning from stories to live more effectively and using stories to escape from living altogether. There is a place for the Quixotic quest, but only if we pursue the quest in our own name and not that of the hero of some story, that we become Quixotic and not Quixote. Many of our modern icons come not from books but from films. For many the stories that help give definition to their lives and define their values come from the cinema. In the film clip we are introduced to a character who is a scholar with a worldwide reputation for scholarship, Army Intelligence, after all, seeks him out because of his scholarship. But he is also an adept field archeologist, a quick and insightful thinker, and a “super hero” of sorts; he is, in fact, a kind of “Renaissance Man.” He is part Sherlock Holmes and part James Bond with, perhaps, a bit of Errol Flynn thrown into the bargain. The film also draws upon iconic images from films of the past. There is a suggestion of Humphrey Bogart in The Treasure of Sierra Madre and of John Wayne in Stagecoach. How important are these icons to our lives and our understanding of our place in the real and the cultural worlds? Do we need these icons; do they provide a kind of shorthand that makes communication easier? If they do, how accurate are they and do they really do what we think they do? It is important to tell stories and to communicate these stories effectively. But we cannot communicate with others unless we all mean the same thing, or nearly the same thing, by our common iconic vocabulary. Were the Victorians, for example, remarkable because of their real cultural achievements or were they something much less exemplary, a closed minded intolerant people? They gave us the novels of Dickens, Eliot, and Hardy but were also possessed of a prudish set of values that has become an icon of a different color and the term Victorian is positive or negative depending on the context in which it is used. 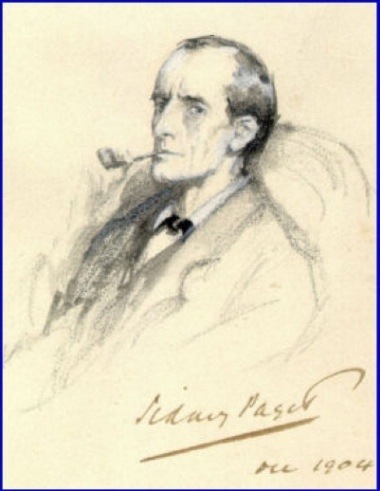 The great Victorian detective often found the solution to a problem to be “elementary” but the writer of detective fiction often begins with the solution and writes backwards. If we know the end from the beginning much does become elementary, but those who live their lives going forward from beginning to end often depend on others to find the narrative thread that defines their lives. For Sherlock Holmes the story ends with the solution to the problem. But an age, like any individual, is rarely around to define itself by the ending that it makes and depends on those that remain to make an honest assessment.